Fortress Sevastopol társasjáték - Magyarország társasjáték keresője! A társasjáték érték! A Fortress Sevastopol egy nagyszerű társasjáték, 2 játékos részére, az átlagos játékidő hosszabb, akár 2 óra is lehet. A társast, 12 éves kortól ajánljuk kipróbálni. A játékmenet erősen épít a terület-impulzus mechanizmusra. But history took a different turn. The initial assault failed to take the fortress. The Russians counterattacked in the winter with some success. And so Manstein’s final conquest of the mighty Crimean fortress lasted until July 1942 when there were no more Soviet fighting formations on the Crimea. 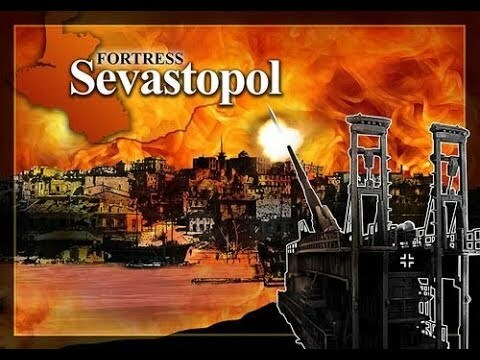 Fortress Sevastopol is a simulation of the German assault on the Crimean Peninsula. The Germans had to advance to Sevastopol as quickly as possible. Eventually the mighty fortress will have to surrender before the snow falls, which would be a great pleasure for the "Führer". If not, you will have to wait until spring to receive more reserves and finally capture Sevastopol before the game ends. If you play the Russian side: stay cool! Try to avoid losses in the initial onslaught. Collect units and reserves in the winter months for an eventual counterstrike at the German weak points. If this is unsuccessful, go for entrenchments and fight for every meter in Sevastopol til the end. Fortress Sevastopol uses an easy to learn area movement and combat system. A similar system was already used in games like Breakout Normandy, Monty's Gamble - Market Garden, and Storm Over Arhhem. 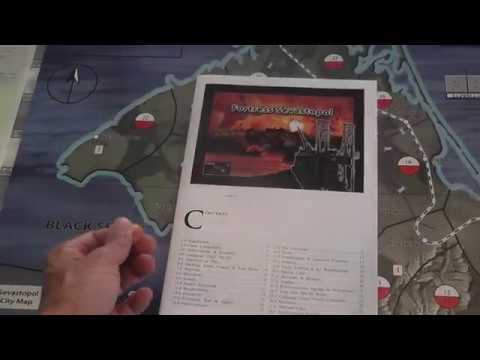 Fortress Sevastopol is Issue #8 in UBB's Command & Strategy magazine series.